World leader in cellular stimulation with its technologies for health, beauty and well-being, LPG® now shines in 110 countries throughout the world. 100% NATURAL TECHNOLOGIES THAT COMBINE TO GIVE THE HUMAN BODY THE BEST IT CAN GET. Treatments available in all equipped centers: Medical aesthetic practices, beauty institutes, spas, etc. 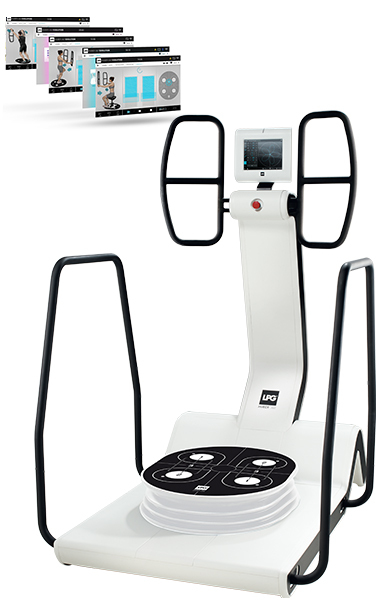 Thanks to its Multiaxis Motorized Platform™, HUBER 360® EVOLUTION strengthens both deep and superficial muscles safely. At the same time, it mobilizes joints, changes the body’s composition, corrects the posture and improves balance and coordination. It treats more than 90% of common pathologies. In particular, it provides considerable benefits when treating ankle, knee, hip, shoulder, and back problems. Treatments available in all equipped physiotherapy clinics. 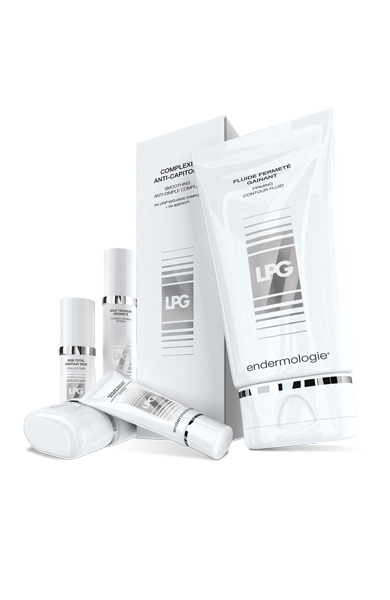 Directly stemming from LPG’s anti-aging and slimming expertise, the endermologie® cosmetics product line effectively supports the results of LPG’s face and body expert treatments. The cutting-edge formulas are highly concentrated in active ingredients with scientifically proven effectiveness. The product line offers a range of made-to-measure care solutions, specifically adapted to your beauty goals. Products sold in all resale centers. Surgeons, aesthetic doctors, dermatologists, phlebologists, scientists, practitioners, etc. The CoSIRe’s mission is to collect as much objective data as possible (soft tissue ultrasound and NMR analysis, Laser Doppler analysis of microcirculation, microlymphography, adipocyte functioning microdialysis and DNA chip analysis, fibroblast analysis, etc.) in order to prove the efficiency of LPG’s techniques through sound scientific studies. 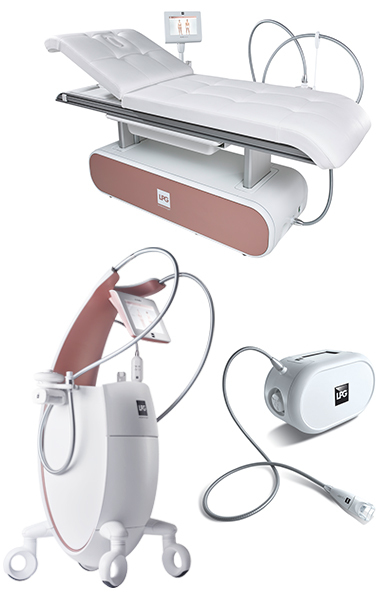 To date, 145 studies have been carried out by researchers and professors emeriti on such diverse topics as the usefulness of endermologie® both before and after surgical or medical procedures, an evaluation of its effects on gluteo-femoral lipolysis, and fibroblast activity, among others. “True beauty never lies”, “LPG® says NO to resistant fat”, “Beauty isn’t a war”, etc. The cradle of the company is located in Valence, in the South of France. This is where the factories, the Research & Development department, and related services are implanted. The Marketing & International department is based in Sophia-Antipolis on the French Riviera, in Europe’s leading technology park near Nice International Airport. The Training Center is in Levallois Perret (Paris area). All professionals who have chosen to pursue excellence are invited here with the LPG experts to learn the mastery and know-how that guarantee results.